The aim of this series of posts is to focus on the habits of excellent practice; our default mode. As I have said elsewhere, every class is a mixed ability class so, regardless of our views on selection or setting, all teachers need to cater for students with a range of skills, aptitudes and dispositions. One student’s Deep End is another’s Shallow End and there is an important difference between a healthy period of struggling and drowning; our goal has got to be that all students make excellent progress, regardless of their starting point, without making things too safe, or beyond reach. Of course, the wider the ability range in a class, the more difficult and critical it is. It’s an enormous challenge, but in Great Lessons, there is no question that this is happening. 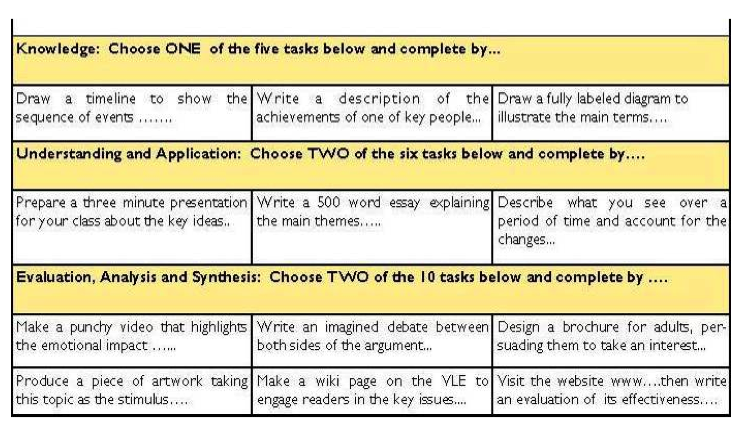 Extension Material: very typically, the ‘extra work’ students can do if they’ve finished the standard work. Support Material: extra layers of scaffolding and simplification to help students keep up. Completely different tasks: sometimes necessary but complicated. However, in keeping with the theme of the blog series, I am interested in the spirit of differentiation as much as the techniques. For me, Great Lessons are characterised by teaching and learning where differentiation is integral to the entire process. ie the notion that one size does not fit all and that different learners will be progressing and different rates is absolutely explicit and embedded. (To those who think this is just obvious, well, you’d be surprised how often it isn’t!). OK, so how does the spirit of differentiation manifest itself? This is the bedrock. When we meet a new class, they may look different but as learners, they are faceless… we need to get to know what their learning looks like. The more students you have and the less often you teach the class in a week, the harder this is and you need to work harder at it. Knowing their names is a start.. but knowing them as learners is crucial. In great lessons, the nuanced teacher knowledge of the students’ needs is always evident. This is where baseline data is very powerful. 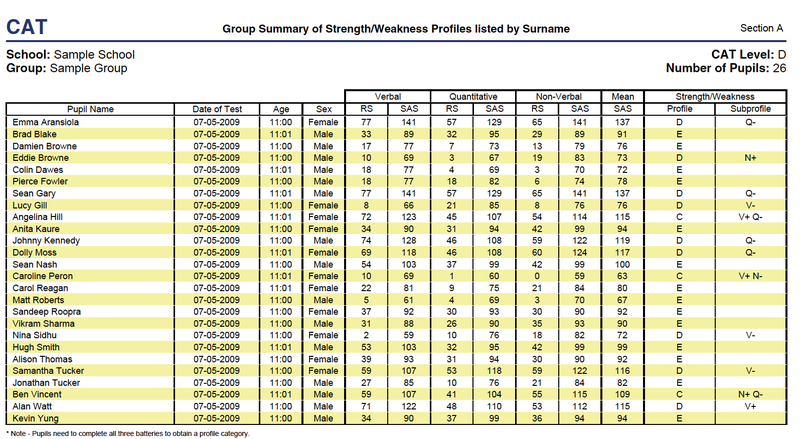 We have all kinds of data: prior attainment measures, CATs or MidYIS scores, reading ages, SEN information…. BUT, the data is irrelevant if it doesn’t change teacher-student interactions. The key is to study the data, to look for issues and to assimilate it into knowledge; ie the stuff you carry around in your head. It has to come off the page. Too much data can impede that process so we need to be wary of data-overload/over-kill. That said, if you only ever give a child books they cannot read….. Fancy! Does it help? Well it could, provided that you are acting on the information. Does the tracking then lead to you up-dating your knowledge bank that then guides you as you plan and deliver your lessons? But, of course, the most important sources of information are informal lesson feedback from your day-to-day interactions, followed by the information you glean from marking books and tests. I love David Didau’s insistence that marking is planning, for this very reason. We also need to be open to feedback from parents. Very often students will report to their parents that they are finding work too easy or too difficult before the teacher has noticed and we need to listen and encourage dialogue of this kind; to dismiss it is folly! What do you do if you don’t know what to do? I love the Jim Smith (aka @thelazyteacher) idea of ‘three Bs before me: brain, book, buddy). Teaching self-help learning strategies is a vital tool in the kit. What do you do if you’ve finished? Ideally, any activity should be set up in advance so that there is no such thing as ‘finished’. In great lessons, you never see students waiting, hands up or killing time, with nothing to do. More subtly, the classroom culture should encourage pushing on to the next level, if you’re finding this easy. Great teachers fuel this ‘can do’ spirit that gives student confidence to get into the deep end at every opportunity. I think it is legitimate – actually it is necessary – to give students a degree of ownership and responsibility for directing their learning in terms of the level of challenge. Teachers need to create the opportunities but students need to learn that, ultimately, it is up to them to find their level; don’t suffer in silence and don’t coast….teachers are not mind readers and they’re not the ones sitting the exams. Then there is also a consideration of self-esteem. It can hold a student back to know they are on the ‘thick table’ (I have heard that phrase) but, at the same time, the issue of ability can’t be tip-toed around. Again it comes down to culture. Mixing up the groupings over time, using a range of differentiation strategies and creating a general deep-end high-challenge spirit is needed; knowing how students deal with this on the self-esteem scale is part of that knowledge bank, just as much as their NC sub-level. 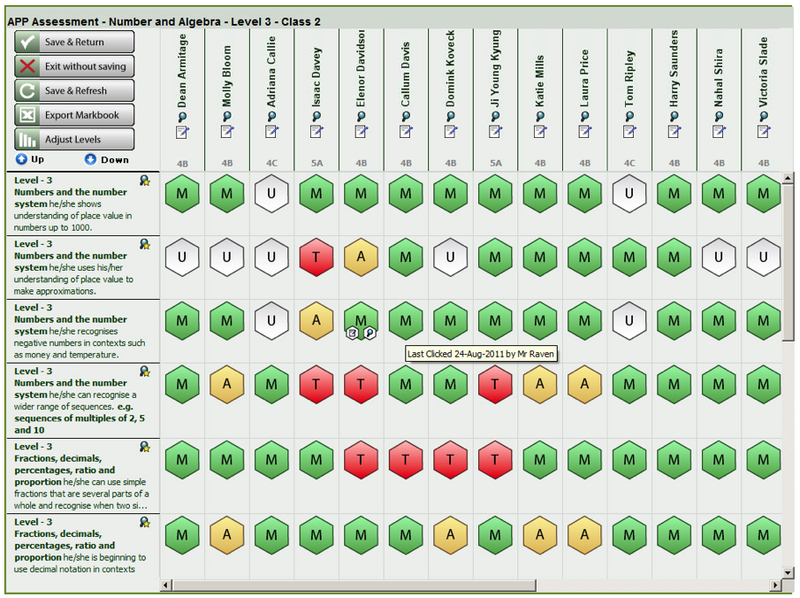 Self-leveling resources: students able to tackle Pythagoras questions of increasing difficulty, self-checking answers and moving through at different rates. Bronze, Silver and Gold questions: questions on cards, at different levels with students able to self-select according to confidence and success.. with teacher prompting some to move on or consolidate. Scaffolding frameworks at different levels: essay writing guidance with varying levels of structure. In this example three levels: one with no support; one with paragraph outlines and another with sentence-level starters. Homework choices: This is a mock-up of a strategy I’ve seen where the overarching project had numerous options for the tasks at different levels. I’ve made this generic but it would be specific to a subject in practice. Leadership grouping: more able students given leadership responsibility in each of a number of mixed ability groups with a ‘group goal’ that required any group member to report back. Just one of many group structure strategies. So many strategies to choose. In great lessons, the strategies are woven into the fabric of the lesson with one overarching strategy that is common: Inclusive Questioning. This is the teacher’s great skill: to bring all students in a class into a question and answer exchange.. adjusting the level of questioning to the student in a subtle way. Mini-whiteboards are brilliant for this...so you can feed off the answers. Think-Pair-Share is another superb method. But the spirit of differentiation makes these things completely automatic, embedded, everyday features of lessons. Everyone engaged; everyone challenged. Let’s not be under any illusions. This is the core of the challenge; this is the sharp-end. Can it be done? I believe so. If every class is a mixed ability class and, in all contexts, there are teachers delivering Great Lessons every day, the proof is there. The spirit of differentiation is essential to promote good or better outcomes. It used to be called match and challenge, which links it with your earlier post and probably describes more clearly what teachers should be doing. I’d wish to explore differentiation by outcome further, as this can be used by some teachers to justify less differentiated activities. This is why I have begun to explore the notion of expectation with my ITT students, as it puts a more dynamic slant on a word that can mean different things to different people. Also explores the idea of “teacher think” as a holistic activity. Blogged here http://www.inclusionmark.co.uk/index.php/learningteaching/learning-and-teaching-policies/expectation This is rapidy becoming a must read series. great read. built up into a personal textbook. lesson contributed to students’ understanding of Roman culture as well as Latin. I see you dealt with this issue in earlier postings! Sorry. Hi John, Thanks for the comment. Yes – the expert knowledge aspect is really important. I just taught a lesson on Newton’s laws of Gravity that was quite teacher-led; a fair bit of expert input, paired discussion and problem solving and questioning. The differentiation was subtle – giving some students time to struggle more than others and so on and checking for understanding for closely with some more than others. The 10-post series will gain more coherence as a whole – that is the plan! Thanks very much for this, and I’m v interested in your MFL department, both in terms of teaching and for its implications for training, though it will take me some time to read their work properly. I’ve got a contract to investigate ITT in languages for the DfE, and also continuity and progression. I’m most interested to know if you and your colleagues have seen any benefits to date from the introduction of languages in primary schools, and, if so, what the benefits are and how consistent they are. Are you finding it easy to get staff for languages? I’m really pleased to see German in the mix, as it’s in such dire straits nationally. Fyi, I attach a presentation I’m due to make at a conference at Wellington later this month. I’m v interested in your MFL department, and have two contracts with the DfE, one to investigate teacher training, and the other to report on continuity. Both are small contracts, with a deadline to report by 21st March. I wonder if I could ask you if you’ve seen any benefits to languages from primary language work? If so, what are they, and are they consistent? If you have time to let me know, I’ll be very grateful. An excellent blog! I wonder how much differentiation is a feature of secondary education in relation to primary? As a primary school teacher, it’s non-negotiable (we’ve been using white boards, think-pair-share and these types of approaches for a while), however, this isn’t my anecdotal experience of secondary school teaching. Both my children (15 and 17) haven’t experienced differentiation in their secondary classes, it was (is) very much ‘this is it, get on the bus or be left behind’. This is what I hear from other secondary students also. I also had this experience at secondary school myself. While secondary schools might set and stream, how much differentiation is really going on in each class? It seems a very different outlook between primary and secondary, but maybe (hopefully) you’ll change all that! I advocate mixed ability teaching, but still within the context of the strategic differentiation you outlined so well in your blog. I have real problems with mixed ability teaching in any subject that relies on literacy or on mathematical skills. It is a myth that children can simply learn on their own with extension work – all need guidance at some point, and it is much harder to provide that guidance in groups with wide differences in ability. For example, I teach some pupils who are still in the early stages of learning to read at 11, and it is virtually impossible to give them the work they need alongside those whose reading may be at L5 or above. Similarly, some pupils have very poor calculation skills, and it is hard if not impossible to develop these alongside, say, calculus. I agree with you about the idea of the bus, but I don’t see that simply differentiating in a mixed ability class is any solution to it. The more successful secondary schools set, and this would be easy to check if Ofsted were asked to look at the issue. In fact, I doubt if the academies would ever have been thought if it had not been for mixed ability teaching. My take away thought for this morning. Thank you. Here is our first Blog of the Week – on a topic that we have been talking about a lot this year: Differentiation. Enjoy! Reblogged this on The Dean Academy: Professional Learning .